Built to Last from the Ground Up! Doughboy’s unparalleled strength and quality are unmatched in the industry. 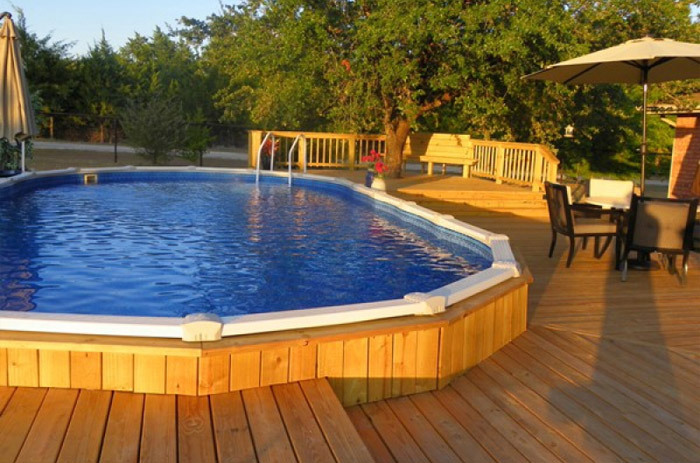 Doughboy invented the first portable pool over 60 years ago, and has been providing customers with peace of mind, longevity and owner satisfaction ever since. 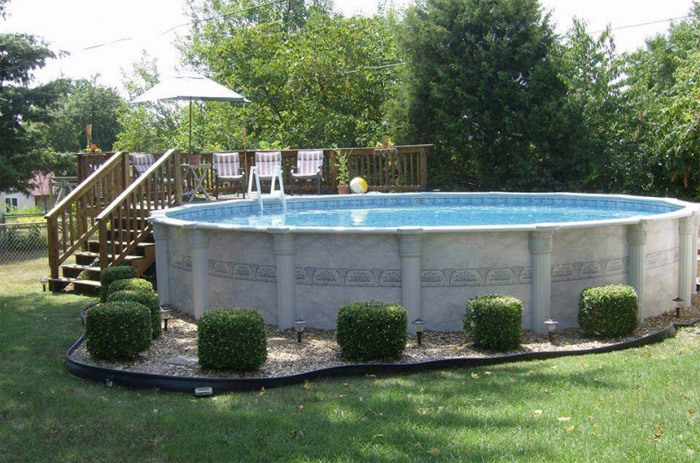 Doughboy pools are even under warranty for the entire time you own them! Walls are made from copper bearing steel that’s 30 – 60 lbs. heavier than other brands. Deep balanced corrugation offers wall flexibility and vertical strength. Exclusive slide-bar wall connectors continuously join pool walls together for complete structural integrity. (No unattractive nuts and bolts to weaken the wall structure!). And Doughboy’s vertical end caps are made from 18 gauge galvanized steel – 50% heavier than most brands! Pre-punched holes (rather than slots) allow for much greater wall stability. Bottom rails are made with premium gauge steel in a 7-step process and are backed with a 100% lifetime warranty! Doughboy skimmers have more skimming surface area to remove surface debris faster! They hold twice the water volume as the competition’s “wide-mouth” skimmers! In fact, their entire skimmer fits inside the Doughboy skimmer. Doughboy liners are extruded in their own manufacturing facility and assembled using the latest technological processes. 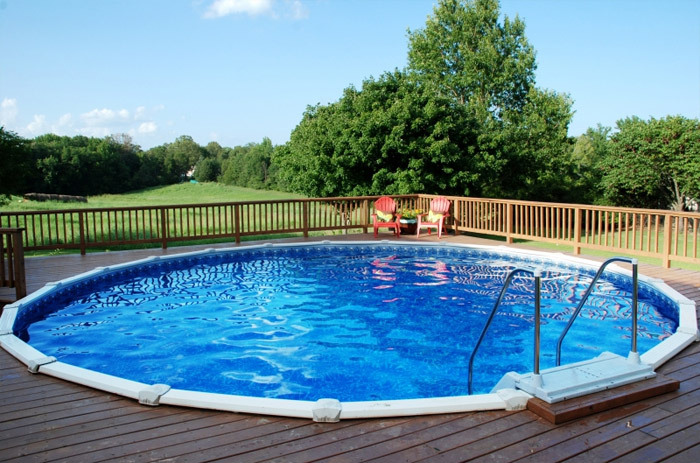 The exclusive Therma-Seal ™ technology provides superior sealing for maximum durability. All liner seams are backed with a 100% lifetime warranty. At a “True Mil” weight of 20 mil, all Doughboy liners exceed industry standards for weight and thickness, assuring they will out perform the competition. Ask to feel the difference between a Doughboy liner and its competitor’s! Some models can be buried or partially buried 4-7 ft.